Cowboys owner and NFL shadow commissioner Jerry Jones isn’t happy that a federal appeals court vacated Ezekiel Elliott’s injunction, thus clearing the way for the running back’s six-game suspension. 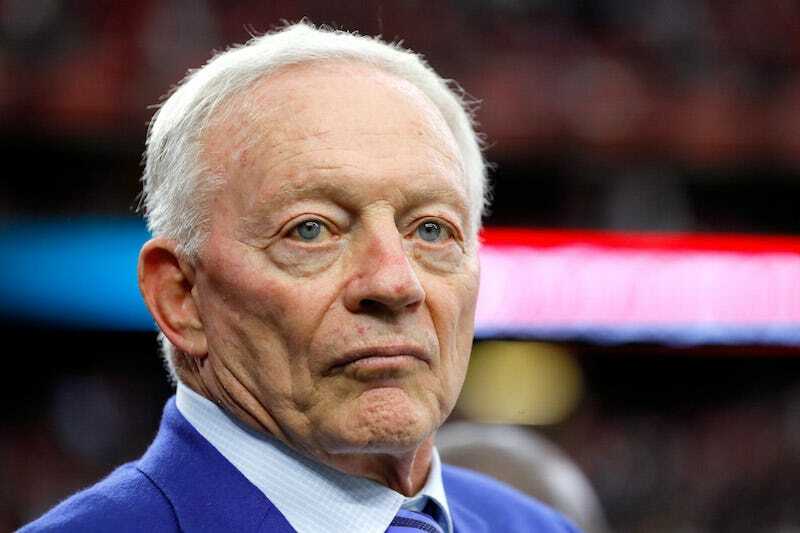 Jones’s mood is to be expected, but—surprise!—he also isn’t happy about the extrajudicial process that led the league to suspend Elliott in the first place. Never mind that owners like Jones are responsible for the existence of that process. In an interview this morning with 105.3 The Fan in Dallas, Jones decried what he described as the unfairness of the NFL’s disciplinary system. That system vests commissioner Roger Goodell with unchecked authority and was expanded three years ago to grant the league broad investigatory powers. Its reach also extends beyond the confines of the U.S. criminal justice system. Remember: Jones was fine with this process when Tom Brady was in the league’s crosshairs. Now that the system is chewing up one of Jones’s own star players? Totally unfair. Who could possibly have seen that coming?